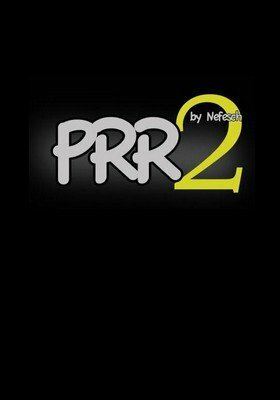 Please note that PRR is a psychological guidance done on a subject. You will not find in this ebook any moves or other sleight of hand. If you don't like psychological effects, then this it not for you. The performer asks a spectator to think of any card, no psychological forces are used, no deck is used, it is a totally free selection, and the spectator never writes anything down. Once the spectator has made up his mind, the performer takes the spectator's hand and makes him see the card he thought of down on his palm; after that the performer reveals the card the spectator was thinking of. This is a 100% impromptu effect. PRR 2.0 The spectator selects a card from a deck; neither him, nor the performer take a look at the card that has been selected, so the identity of the card remains unknown to everybody, the card is kept in the spectator's pocket, NO SWITCHES TAKE PLACE AT ANY TIME. The performer takes the spectator's hand and asks him if he can see something in the lines of his palm, the spectator says that he can see a card value on his palm; the performer asks the spectator to say out loud what card he sees. After the spectator has named the card he has seen, the performer asks the spectator to see the lines of his palm again to find out if he can see something else, the spectator says that now he can see a different card value, the spectator names out loud the new card he is seeing. The performer asks the spectator if he has seen this by his own on the lines of his palm, the spectator confirms that that is the way it was. The performer asks the spectator to name out loud any of the two cards he saw, the performer says in advance that whatever card be named by the spectator will be exactly the card that was previously selected, the spectator says out loud ANY of the two cards he saw, the one he liked the most, now the spectator retrieves by himself the card that's been inside of his own pocket all this time. The card he finds out in his pocket is the one he just named out loud. 100% impromptu.